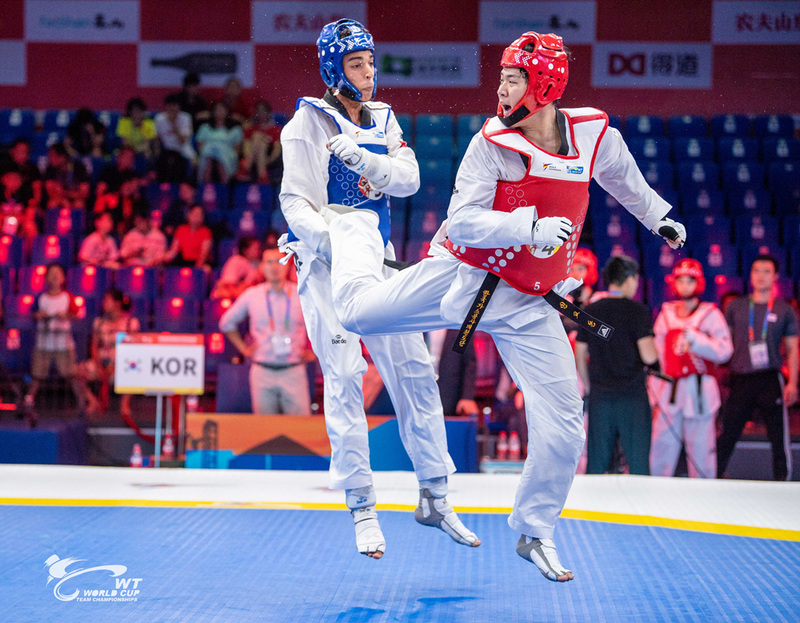 WUXI, China (July 27, 2018) – An exhilarating first day of action saw China’s first team (China 1) and Korea secure their places in the gold medal match of the men’s category of the Wuxi 2018 World Taekwondo World Cup Team Championships. 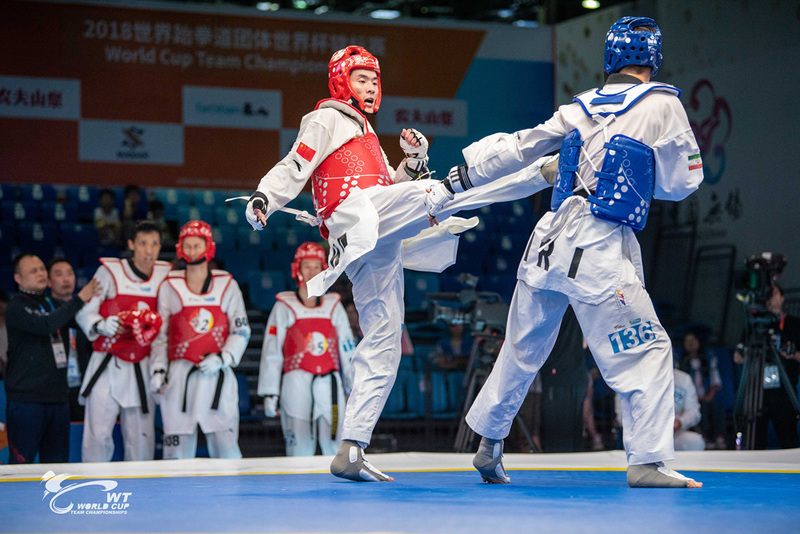 It was an action-packed first day that featured nine world-class teams from China, Cote D’Ivoire, Iran, Japan, Kazakhstan, Korea, Morocco and Turkey. After four engrossing quarter finals, China 1 faced Iran in the first of the semi-finals. The match was very close and by the end of round three, Iran held a narrow 31-29 lead giving either side a chance of reaching the final. However, it was the Chinese team, spearheaded by the ever-impressive and extremely aggressive Shuai Zhao, who secured their spot in the final with a high-scoring 65-55 victory. The second semi-final was not as close, but no less entertaining. While Morocco competed admirably, Korea were ultimately too strong and won the match 94-48 victory. Throughout the match, Korea’s Kyo Don caught the eye with his entertaining punches and spinning kick combinations. 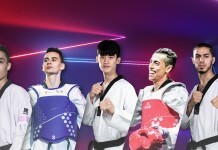 The two finalists, China 1 and Korea, will now face each other in the final on 29 July with the hope of claiming the world title and $40,000 in prize money. Morocco will fight China’s second team (China 2) and Iran will face Kazakhstan for the bronze medals on offer.